Is this what the trainers are talking about when they say a horse is "too heavy on the forehand"? 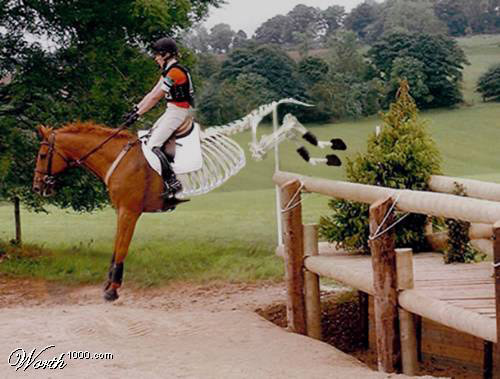 Here's another Photoshop masterpiece from worth1000.com and equinest.com's "Photoshopped Horses" gallery. I thought the jumping boots on the hinds were an especially nice touch. Thanks!